No learner wants to get lost in the crowd. Here are 5 ways to let learners express themselves on your LMS and shine as the individuals they are. When your learners arrive on their shiny new training system, they’ll do anything to avoid becoming just another number. Check a comprehensive guide that will teach you everything you need to know about personalising your training programme! They’ll want to shout out about their individuality, about how no-one else understands Bob Marley quite like they do, or how they knew about the latest fashion way before it was cool. So how can you help them unleash their true selves? Though everyone on an LMS ultimately has access to the same tools, it’s how they use them which can unleash the individual within. Here are a few things you could encourage your learners to do, to help them feel like themselves in their new online home! 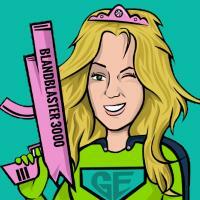 There’s nothing worse than seeing someone on a social network with a default profile image. It’s always some faceless silhouette, and does absolutely nothing to tell you anything about the person behind it. It’s the same on an LMS where you can build a profile. If the option to upload a photo is there, then you should be making sure that your learners are posting their best mugshots! This image will appear next to a learner’s name wherever they appear on your platform, so it’s one of the best ways to bring some humanity to things. Speaking of names, sometimes it can be worth getting your learners to edit theirs slightly. Sure, that guy in Marketing might have been born a Thomas, but everybody knows him as Tom! Letting people use their preferred names can be a nice easy win on the individuality front. Similarly, some of your learners might have earned some cool nicknames around the office. So Harriet ‘the Hunter’ Hedges in sales might want to use her alias as she gets down to some training. Just make sure that it’s still clear exactly who is who on your system. After all, you don’t want any confusion when you get round to doing some reporting! With their gorgeous profile photo and awesome nickname sorted, people will want to click through to the learner’s profile to find out exactly who this person is. Your learners can use their bio space to list a few of their favourite interests, share their key life goals, test some of their stand-up material, or even publish their entire, unedited autobiography. Visitors to their page will leave with a much better understanding of who this person is and what makes them tick. There’s no chance they’ll lose them amongst the crowd now! A learner’s profile can also be a great place to share something more substantial than just words. On our Academy LMS for example, learners can upload files to a showcase within their profile. This means that if they have something which they’re extremely proud of, they can show it off for everyone to see! This might be a work project which they toiled on tirelessly, or it could be a recording of their leading role in the school nativity play as a child. They’ll be able to build up their own personal portfolio of everything that makes them who they are. It’s a brilliant way to let them express themselves! A lot of us sport fancy job titles, such as Marketing Executive, or Chief Accounts Officer. These sound important, but what do they actually mean? Often our job titles really don’t do justice when it comes to explaining what we actually do or contribute to our organisation. But a great way to fix this is to get employees to choose what we call a ‘fun’ job title. 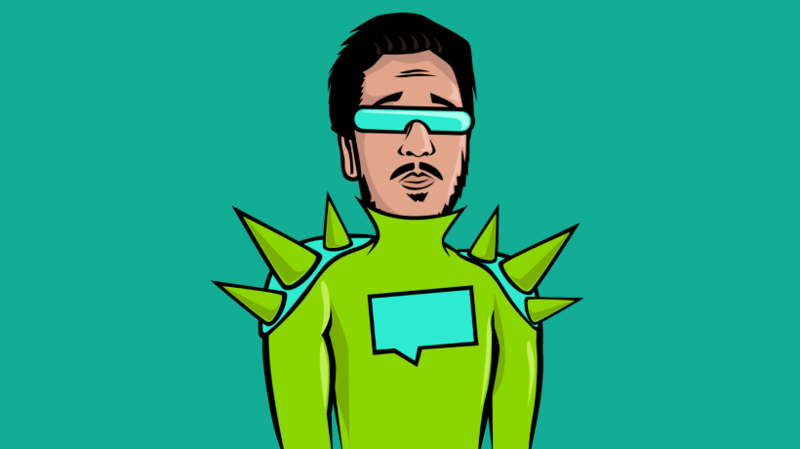 So while you might not be sure what one of your web developers is doing day-to-day, as soon as they tell you that their fun job title is the ‘Bug Basher’, you know that they stomp on problems that get raised! Adding these fun job titles to each learner’s profile on your LMS can be a fantastic way to help everyone get a much clearer idea of who their colleagues really are. if you want to learn more about how to personalise your training programme, download the free eBook This Time It's Personal... 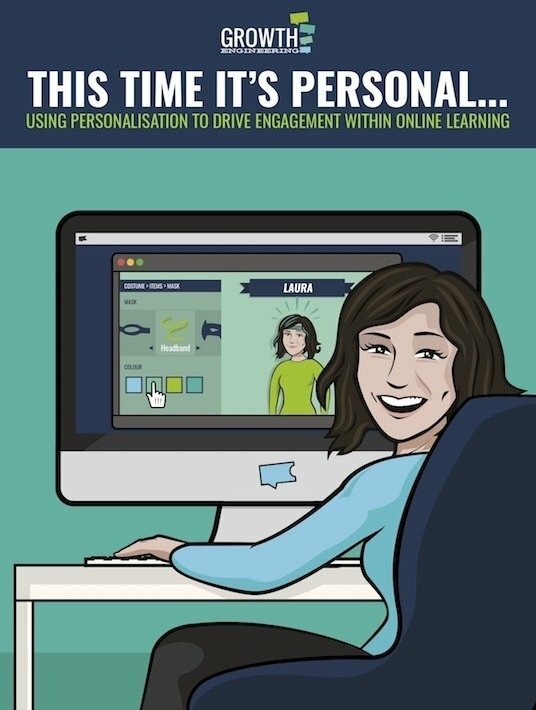 Using Personalisation To Drive Engagement Within Online Learning.